This week has been weird and my head is elsewhere so I figured I might as well see how a drink post does on a Thursday, hope you don't mind. If all goes well tonight I just may tell you where exactly it's been. As I mentioned last week, drink choices have been heavily relying on what windowsill plant needs to be chopped down. While the mint is still making it's way down the building in hopes of one day becoming ivy, the basil is behaving like a magic bean stalk. Basil it is. And we recently picked up a bottle of aperol as it's been noticeably included on popular brunch menus across the city. It was about time. 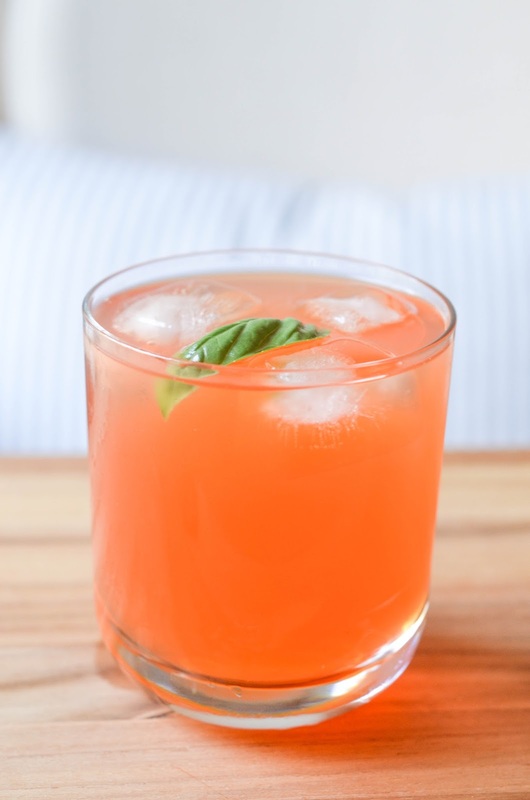 So I looked up some recipes that included the two, basil and aperol, and came across this one from Food & Wine. (Note: If you click to the original recipe, you'll notice that they have it listed as a more challenging cocktail, ignore that, it's easy as pie, and much easier than that pumpkin pie cocktail, which you can find here!) In true fashion I of course altered it slightly to suit my needs, which is highly encouraged! If you don't have an ingredient, improvise! I did not have any prosecco on hand - gasp! - and wasn't about to use the special bottle of champagne taking up residence in my fridge on an experiment, so I substituted for soda water to give it a little fizz and upped the amount of simple syrup. 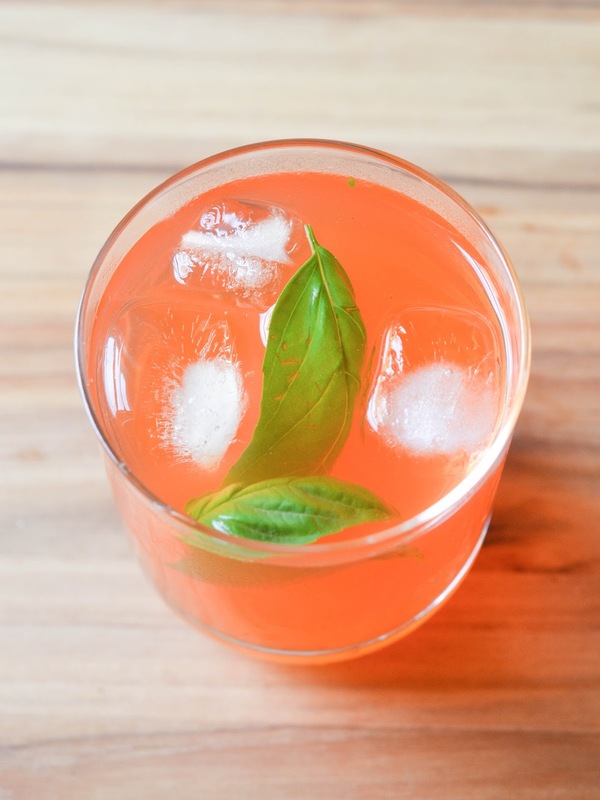 In a large glass combine gin, aperol, lemon juice, simple syrup, and basil leaves. 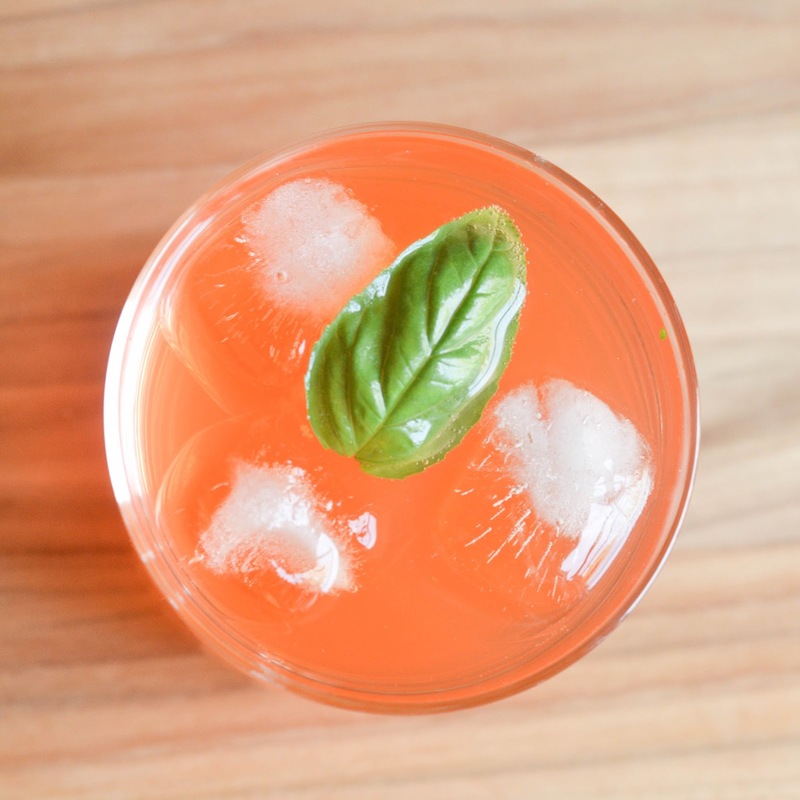 Shake with ice to bruise the basil, strain, and top with soda water. Garnish with a basil leaf if so desired. I very much enjoyed this one. Aside from it's bright orange, almost neon color, which I suppose could be seen as off-putting, it was light and refreshing. 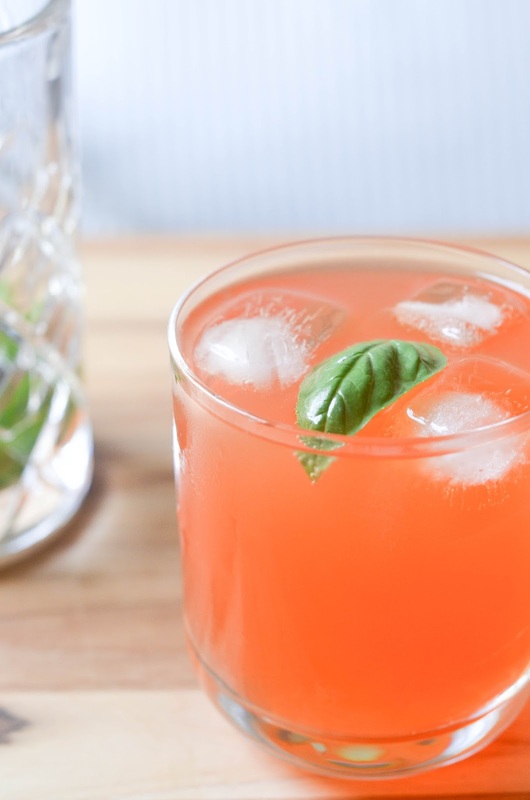 I'm a big fan of using basil in cocktails, especially with gin. The two together have a such a lovely, summer profile. 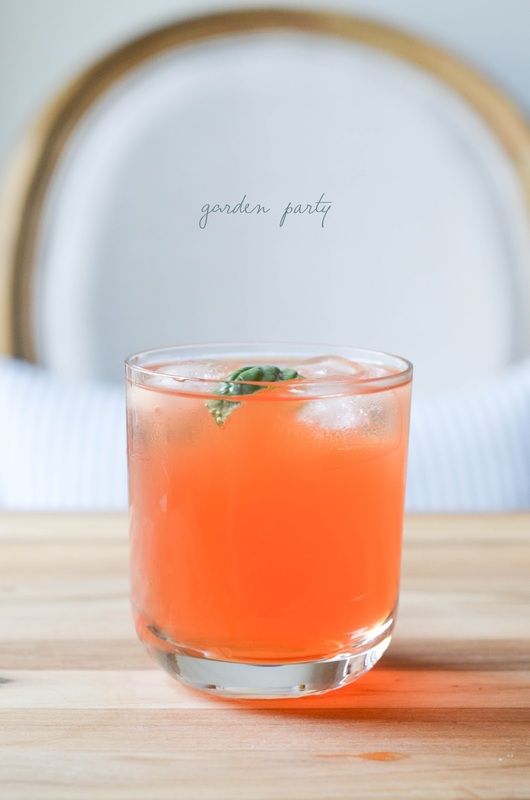 And I especially like the name of this drink, garden party. I certainly wouldn't mind sipping one of these at one. This sounds so yummy!! Perfect for a summers day!! Hope your week has been weird in a good way and not a bad way! And seriously, were you a bartender before or something? You make the most amazing drinks that I've never even heard of and I work in a liquor company haha! I need to come spend a weekend with you so you can show me how to make gorgeous cocktails! You are so creative in that way. Your style is on point! Love coming to your blog! Looks tasty. Thanks for sharing and happy Friday. 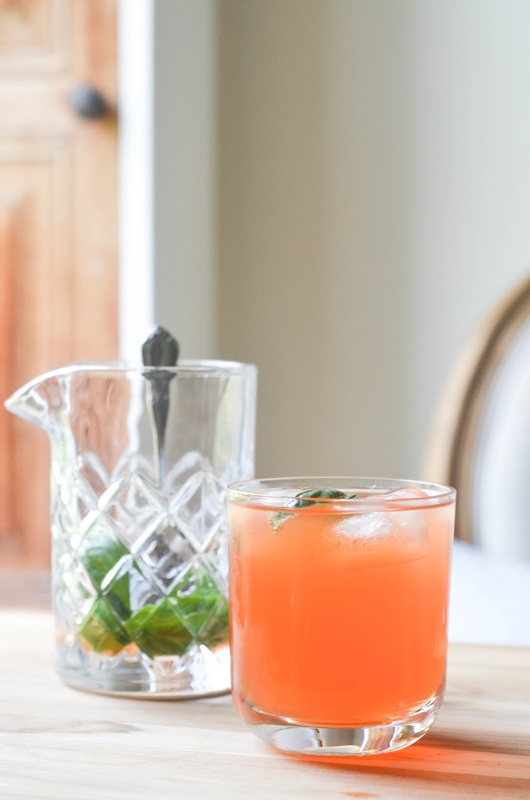 Nothing sounds better right now than a garden party, the event and this drink. I had a French 75 last night so I'm very much on a gin note. 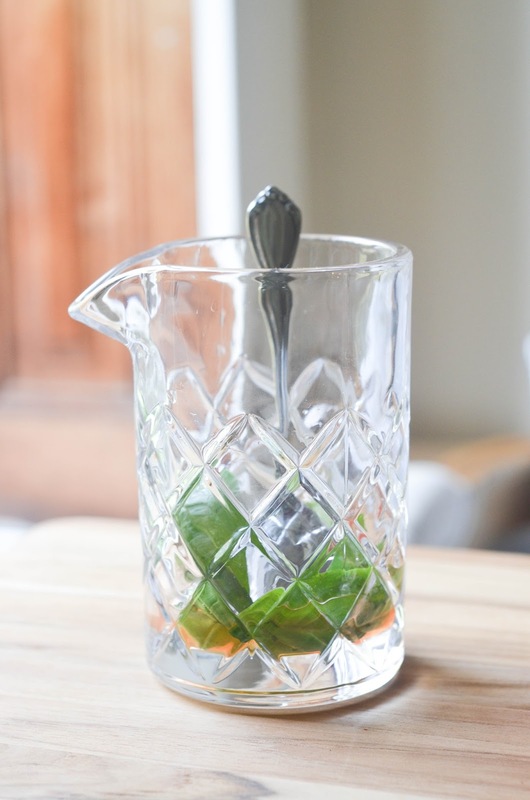 There's something so light and summery, like you said, about the way gin and citrus go together. I can imagine that basil just enhances the whole thing.